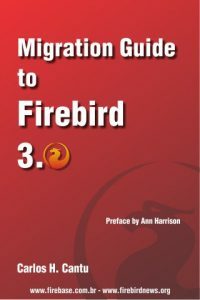 Firebird 2.5 Language Reference is released with document version 1.000. Here is the Helen Borrie commit. Be aware that FirebirdSQL organization members that are marked as ‘owner’ also have write access and can manage the team. Adriano added two new builtin functions FIRST_DAY and LAST_DAY. Here is the Github commit a2556be . Meiji Kimura and Hajime Nakagami created Firebird Advent Calendar 2017 , there Firebird Japanese community will post articles in each day of Advent period. Recommended long-term solution is replacing of UDF with UDR. Ps: Here is the related git commit .